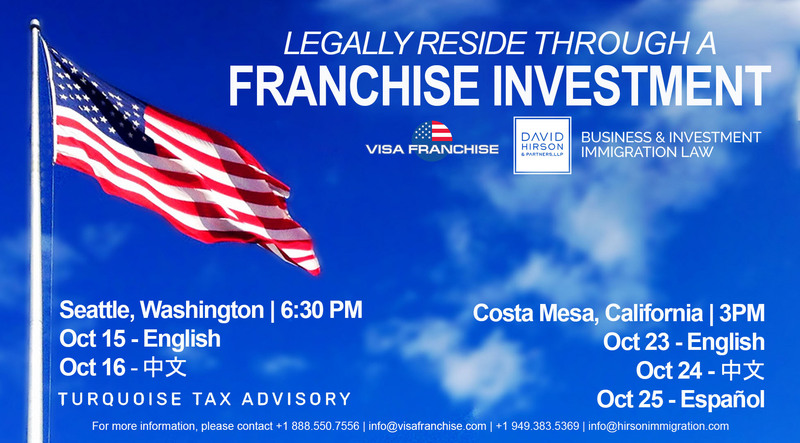 Visa Franchise will be touring across the West Coast to meet with different franchisors and host investment immigration seminars from October 11 through October 26. Visa Franchise will be visiting Arizona, California, and Washington. If you would like to meet with the Visa Franchise team, please email info@visafranchise.com for more information. Learn more about the upcoming investor immigration seminars below.